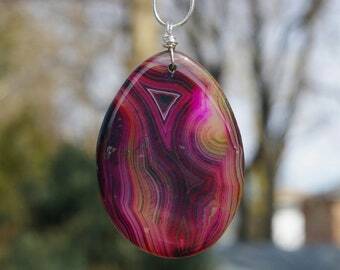 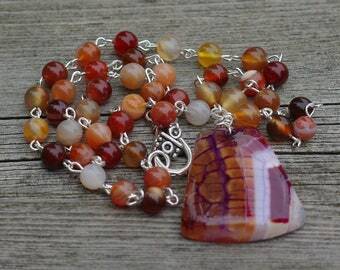 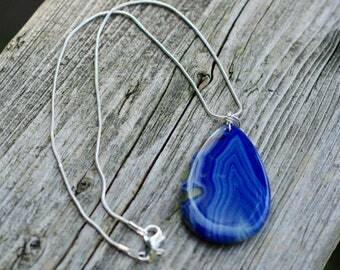 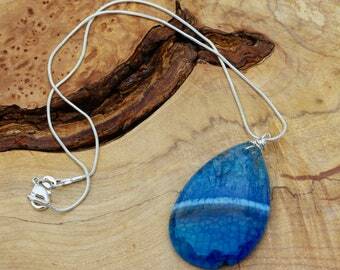 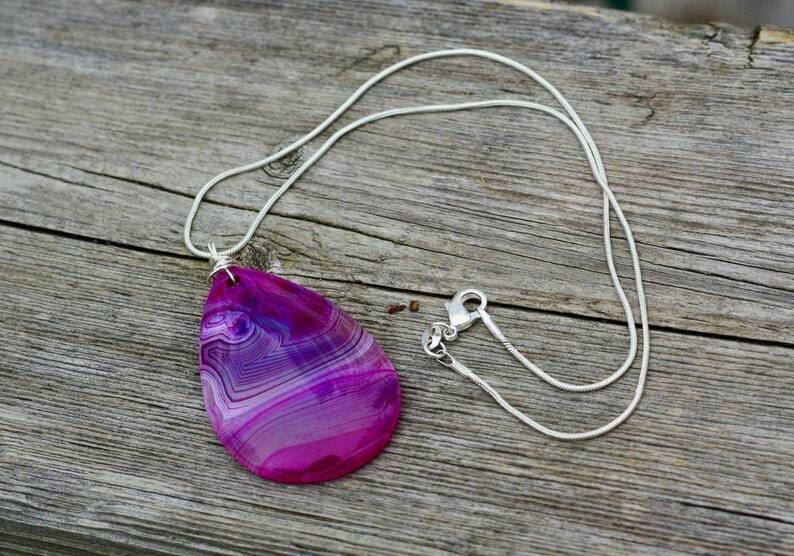 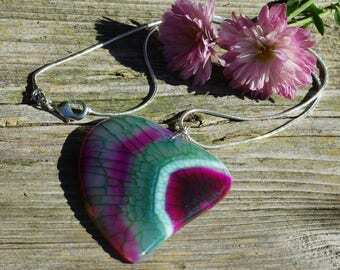 This is a truly stunning agate stone pendant. 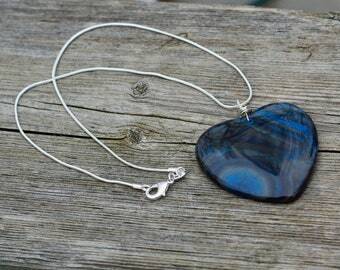 Sterling silver hand wrapped wire attaches to a sterling silver chain. 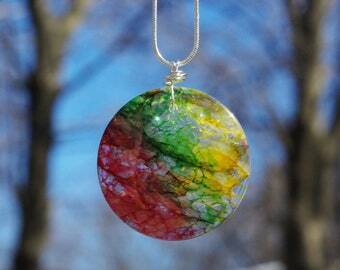 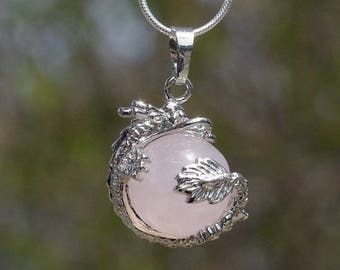 The pendant is 2" (7.5cm) long and 1.5" (4cm) wide. 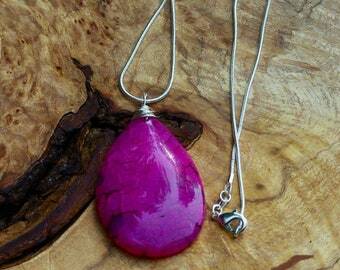 The light shines through the stone accentuating the beautiful dyed pink, white and purple coloured dragon veins in the striking pink stone. 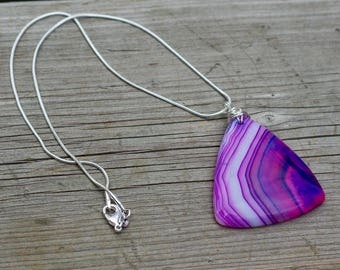 This pendant comes with your choice of length for the sterling silver chain. 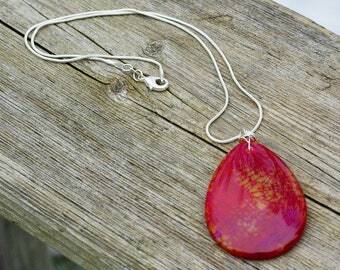 Please indicate which size you would like.